In Chat, make sure you're in Text mode by selecting the keyboard icon. 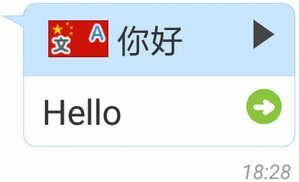 Now type in some text into the textbox below, like "hello". You can send it as a regular text message as it is. 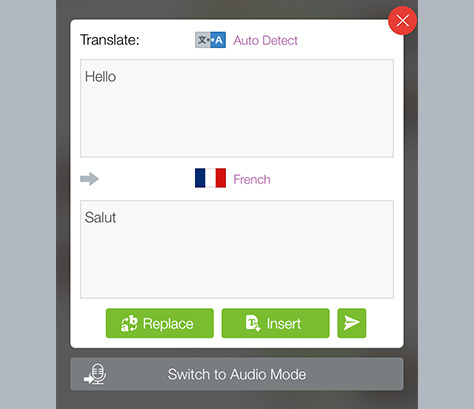 To send this message in a foreign language, press on the Translate button. You'll now be in the translation panel. Tap on Translate to translate your text message. 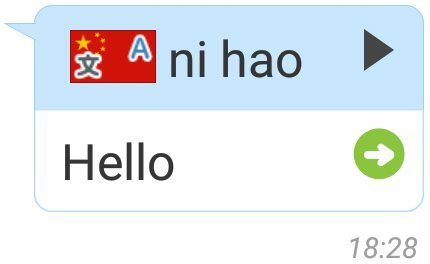 To change languages, press on the language name and choose a different one, like Japanese. 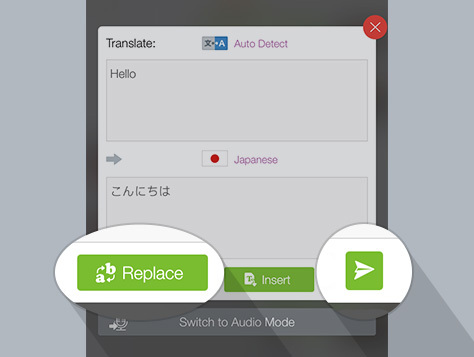 After that, you can either press Replace to paste the translation into the textbox for further editing, or just press the "paper plane" icon to send the message immediately. 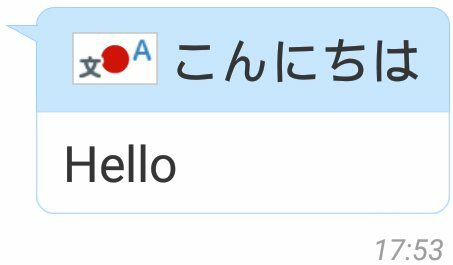 Your pal will get your message, with the translated Japanese text at the top, and the original English text at the bottom. 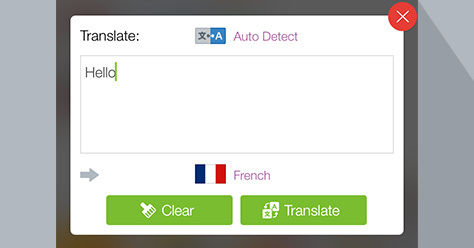 For some languages, there will be a green arrow button next to the original text. Pressing the green arrow will show the Romanized version of the Japanese text.